Today is Blue Monday, the bleakest most depressing day of the year so say. How do you possibly counter this? Reminisce on the previous weeks geekly activities. So I’ve been putting time into this as much as possible since getting it for Christmas. I’ve been focusing on completing the first game first (obviously). Well after 9 hours and 5 minutes of game time which included going back over some levels to find some hidden gems and unlock the level specific trophies, and about 45 minutes of that game play purely on trying to break one chest in the latter stages of the game, I finally finished the first of the trilogy 120% with a nice shiny platinum trophy at the end of it. I have to admit, while I did have Spyro on PlayStation back in the days, I never got completed it, in fact thinking back I got nowhere near completing it. I think I was just quite content with farting around in the first world Artisans not really ever progressing much from there. I mean, some of the worlds after that when playing this remake felt pretty new. So maybe showing how competent I was at video games when I was 12 if not hooked to other games. The flight levels were tricky but actually quite enjoyable, once you’d actually completed them without hitting the ground and attaining all the collectables in one run. I actually liked playing the levels over and over initially to get the correct flight paths and working out the best route to tackle the level. When you finally got it altogether and finished it, the sense of satisfaction is great. But boy oh boy did I swear on the occasions that I’d be 3 or 2 collectables away from finishing the level and clipping a wall thus hitting the water, or worse yet, run out of time before the final collectable. I really enjoyed replaying this first game and found it a relaxing for the most part experience with not too tricky trophies to attain. There were some later levels that added some complexities with regards to collecting all the gems which required hitting multiple boost ramps and jumping across levels you hadn’t realised were possible, but again the satisfaction of completing a level and thus eventually the whole game is pretty awesome. Having completed Spyro one, I did move onto Spyro two, but just found myself less interested in completing the levels, perhaps a bit of fatigue, so I decided to take a break from Spyro and open up another Christmas present I’d received. Moving on from one of Insomniacs platforming mascots in Spyro to their next platforming superstars, Ratchet & Clank. Now truth be told I had only intended to play this for about 15 minutes or so, just to pass a bit of time on Sunday. However I found myself strangely addicted to this game and ended up pumping a good few hours in unintentionally. That’s never a bad thing. I really enjoyed the introduction to both Ratchet and especially Clank. His escape level was a nice little tease of some puzzles that I expect i’ll encounter as progressing more into the game. I was also really surprised yet thoroughly enjoyed the flight battle that I participated in reasonably early into the game. It was a pretty fun little segment that I had no idea would occur. One thing you can say about Insomniac games is that they’ve truly got the hang of this generations consoles and can squeeze every bit of beauty out in their games. It was evident in Spider-Man which I recently completed and it’s evident in this 2016 title. For a platformer it looks rather quite stunning. So I’m looking forward to diving back into Ratchet and Clank, however I think after this my platformer itch may have been taken care of and I might move onto a different genre from the Christmas presents I got, possibly Shadow of the Tomb Raider or Shadow of the Colossus after this. 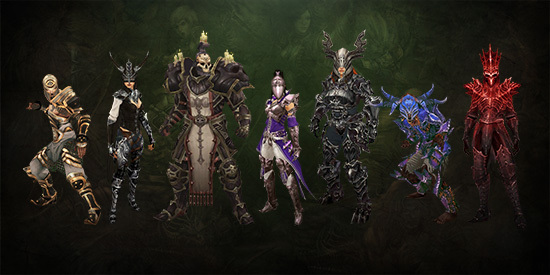 Season 16 of Diablo is here, and with it is a whole bunch on new armour and stuff to collect. I was very, very late to the party with Diablo 3, in fact I only completed it last year. Upon completing it my friends told me about the seasons and how I should get involved with them. I did a little with the previous season, but I was late to it starting so didn’t get fully in to it. This weekend I jumped back in to start a new season character right from the beginning. First things first, getting boosted! 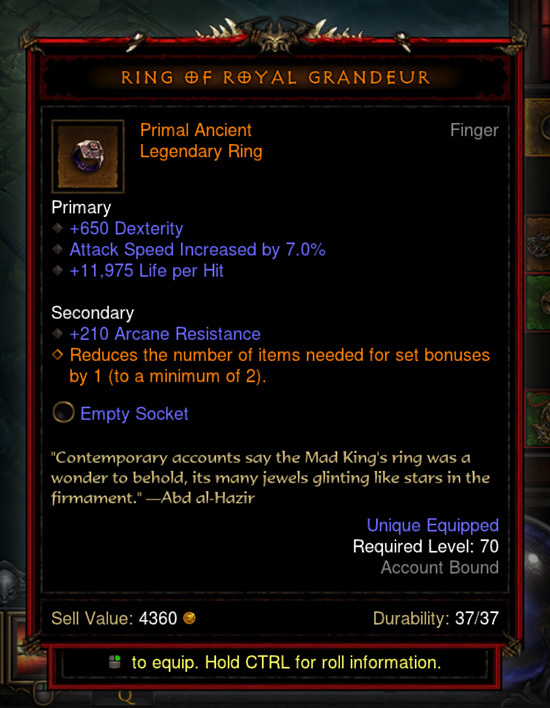 I’ll be honest I still don’t fully understand a lot of things about these seasons in Diablo, I know that I need to get up to level 70 to start getting the good stuff and I know that the best way to do that is join someone else’s game and stand completely still whilst they destroy everything around you. You level up so fast that the UI can’t keep up and you’ll be getting level notification messages for the next 20 minutes. It’s weird, but it’s actually kind of fun just watching your levels fly up and then roaming around to pick up a few random bits of loot. I’m really looking forward to getting stuck in with this season from the beginning, I love Diablo 3 mostly because it’s just casual fun and so easy to jump in and out of. There is no real stress to it, there is no pressure, you go at your own pace and have fun wiping mobs and mobs of enemies out. Even though I’ve only just started I already feel like the loot is rewarding and fun to collect. I’ve been back playing quite a bit of DayZ recently and again this week I’ve put together another video of some recent adventures! I just love the random nature of this game, you never know who you’re going to meet or what situations you’re going to end up in. The new trilogy is slightly harder now they’ve added the trophies in but the trophy set for the third game isn’t as hard as I originally thought to collect in the game, though I remember the days of playing the original trilogy and knowing that the flight levels in the first trilogy would get harder as I played further into the game. Some of the harder flight levels in the first game from Reignited are a little bit easier and slightly quicker to complete compared to when I first played them in the originals. I just recently wrote a review on the Spyro Reignited Trilogy if you want to view it on my website. You’re always welcome to drop by and comment on the review and on anything I’ve published on my website :-).